The memories of these years will live on — the first time they wandered across the river on a fall afternoon with friends for some Autzen madness. Finding the perfect study spot and surviving first Finals week. Waking up to a blanket of snow on the ground. Coming back from spring break and finding a sun-drenched campus in bloom. These were their seasons. Along the way, they found their way, not in a straight line, but one that meandered. They discovered new places, met new friends, learned new ideas. This was the path that led to these finals days of college. Now they’re getting ready to carve a new path. They’ll be leaving behind this leafy campus and embarking on new adventures, knowing the best lies ahead. That’s why it’s called commencement — it’s the start of something, not the end. Major: Business Administration with a concentration in operations and business analytics. Outside the classroom: She enjoyed mentoring for the Building Business Leaders program for two years, serving as a student ambassador for the Athletic Department, and spending 70 percent of her college career in the Lillis Business Complex. Influencers: Without a doubt, Taylor said it was the people she surrounded herself with. “The people I've met along the way inspire me to continue to push the boundaries for myself and my community." Dorm life: Taylor was appreciative of her first-year dorm experience where she roomed in the Business ARC residence hall Earl. There, she made many long-lasting friends and felt she had jump-started her career within those walls. 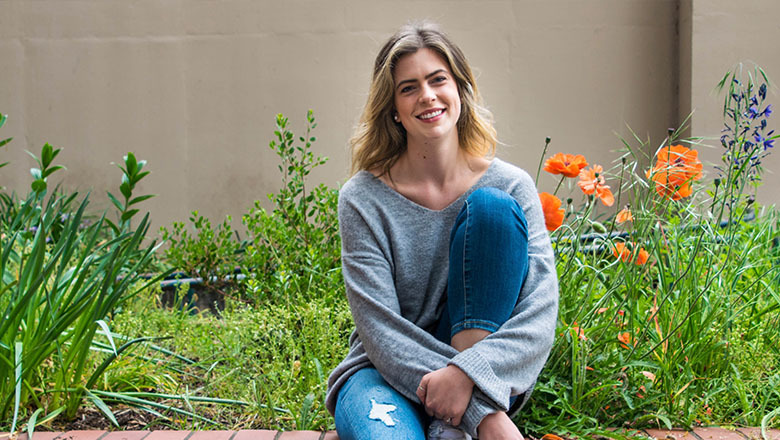 Why she's proud to be a Duck: Taylor said she loved to see the drive all her classmates put forth to go conquer or change something out in the world, and of course she enjoyed the comradery and excitement of all the sporting events. 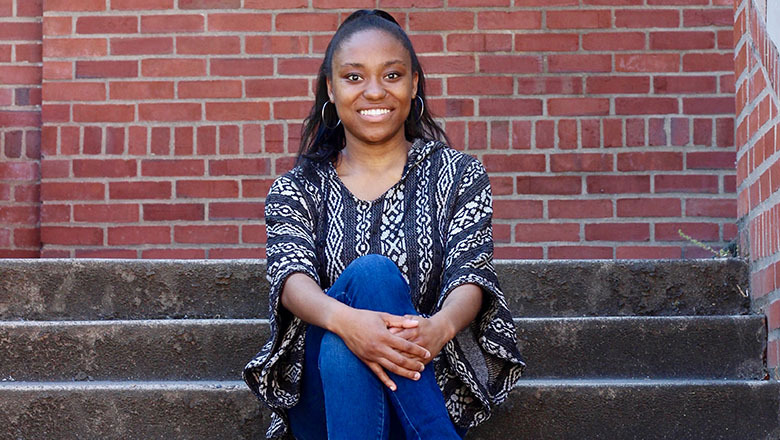 What's next: Because of her time with the business fraternity Alpha Kappa Psi, she snagged a job in Chicago to work for Amazon as an Associate Account Executive in their Amazon Media Group. Major: Geography with a minor in food studies. Outside the classroom: Served as an RA for two years, participated in Geography Club's "Map by Northwest," and worked as a teacher's assistant for the Inside-Out Prison Exchange Program. Favorite memory: That time one of his residents ate two Big Mouth burritos in under four minutes. Did you know? 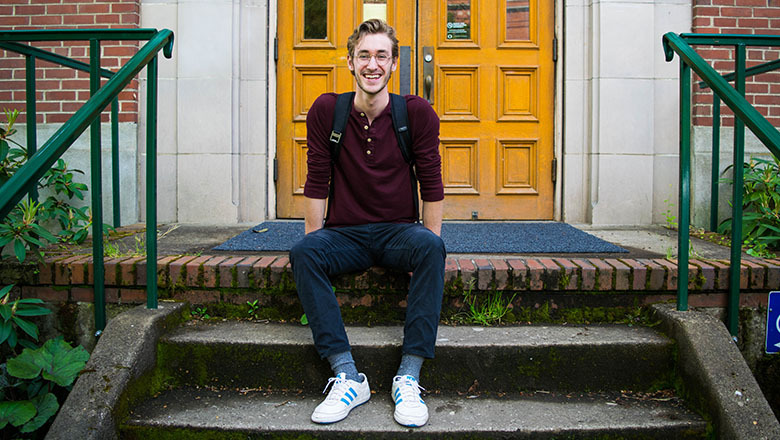 Keene ran the Eugene Half Marathon three times and his favorite spot on campus is the Urban Farm. Favorite professor/instructor: In the Geography Department, Shaul Cohen, Chris Bone, and Leslie McClees, and also Harper Keeler in Landscape Architecture. Advice to his freshman self: Keene would have spent more time at Saturday Market and got more involved in Eugene community events. He recommended all students check out the Craft Center in the EMU at least once. What's next? He aspires to work for National Geographic and has applied to work for Harley-Davidson this summer as a cross-country social media influencer. Is there anything cooler than riding a motorcycle across the USA? If she knew then what she knows now: Raquel would tell her freshman self to surround herself with people who were doing work that she wanted to be doing. "Courage and motivation are contagious when everyone around you is working to better themselves every day." Outside the classroom: She worked with Pac-12 Networks, Oregon Athletic Department, Emerald Media Group, Allen Hall Advertising, and the Division of Equity and Inclusion. 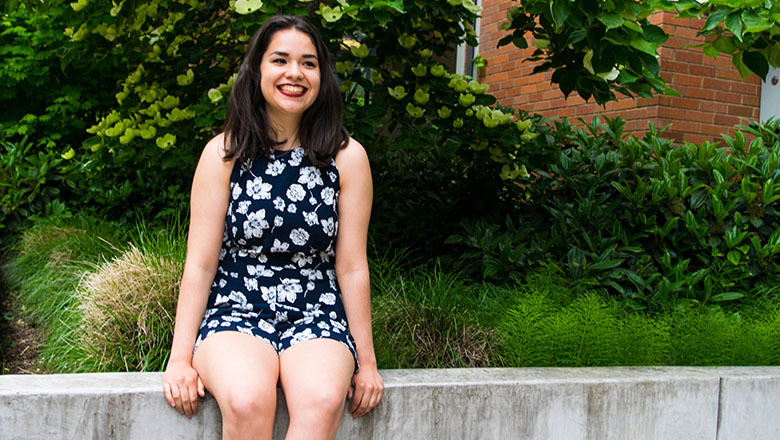 Favorite spot on campus: Raquel would sometimes wait up to 30 minutes to sit in the big chair in Erb Memorial Union to study and decompress after class. What’s next: This summer she travels to Seattle (for the first time!) to begin a career as Art Director Intern for the advertising agency WongDoody. The best part? The agency was founded by a UO alum — Tracy Wong! 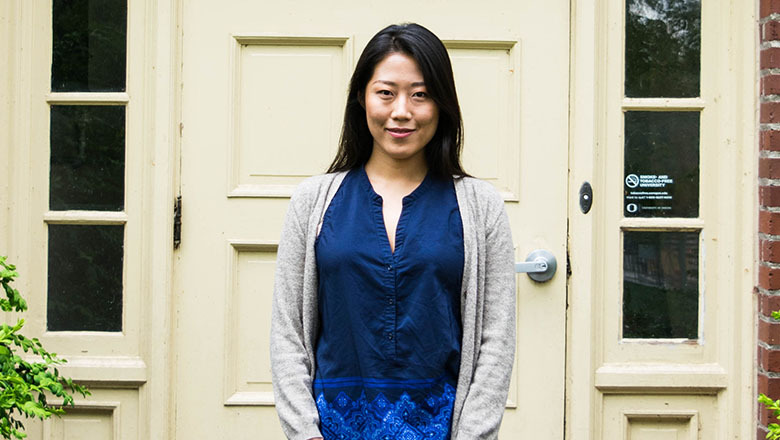 Advice to her first-year self: "Relax! You're right where you need to be.” After applying for a random roommate, she was surprised to be matched with one of her best friends from high school. The match went so well that they're even planning to live with each other post-grad. Favorite spot on campus: She only revealed the location to her secret spot because she's graduating. It's the perfect lunch spot, and nobody is ever there — a little nook near the Columbia fountain nestled between the trees and Pacific Hall. What’s next: Giselle admitted she can't sit still for long and hopes to travel to many places in the next 10 years, specifically to Austin and Tokyo. In her immediate future, she hopes to land an interior design job in Portland. Major: General Social Science: Applied Economics and Business. 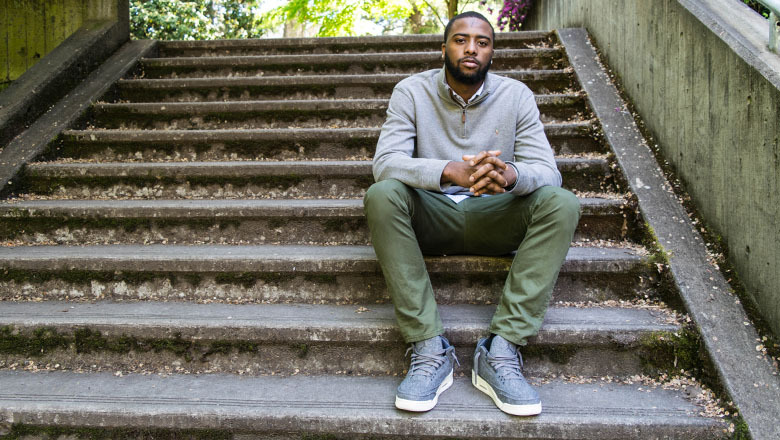 Outside the classroom: He joined many groups that "promote inclusive education, diversity cultural awareness, and overall equity for Black students," such as the UO Black Student Task Force, where he was the Associate Leader for two years. Advice to his freshman self: "While I would encourage my first-year self to draw strength from my community and use it as an inspirational catalyst to explore the world, I would encourage and obligate my first-year self to keep a tethered link to my community, never forget where I came from, and use the education I will get from the UO to give back to my community and by helping underprivileged African-American youth of Northeast Portland." What's next: He will work at Nike World Headquarters as a Global Marketing Specialist Intern for Jordan Brand. He also plans to pursue concurrent degrees in Masters of Education and a Juris Doctorate degree. Major: International studies with a minor in economics. 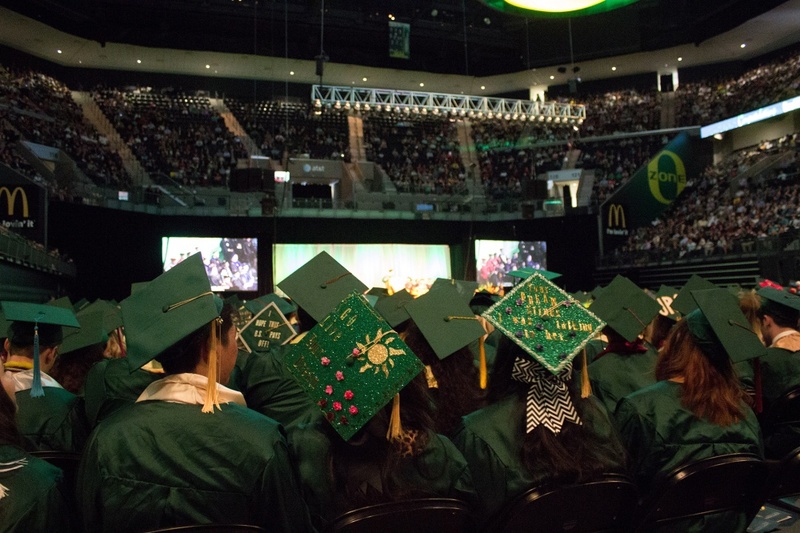 Advice for fellow transfer students: Don’t get overwhelmed and recognize that Oregon is another school where they can explore and achieve great things. Did you know? DaHyun is originally from South Korea, and she had many opportunities to share her culture with the Eugene and Springfield community. Why she’s proud to be a Duck: Because of all the amazing and supportive alumni. "Shout out to all of the amazing Ducks!"